Hello there lovelies, Happy Weekend! 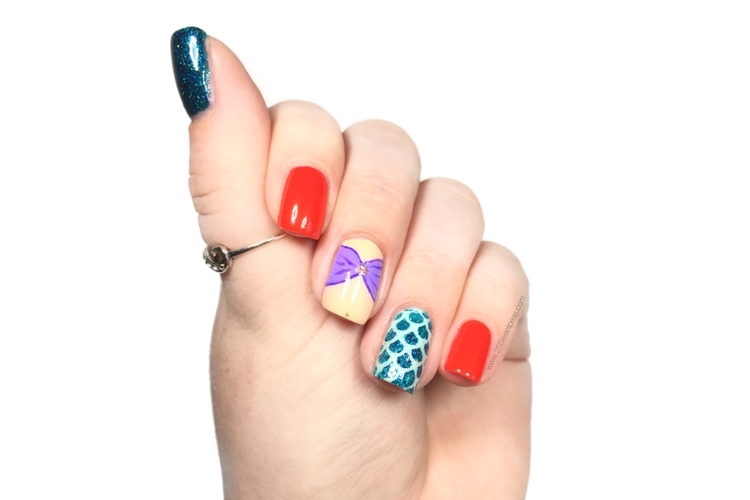 :) Today for you I have a fun Little Mermaid mani using some of the new polishes form The Mermaid at Sea collection Envy Lacquer is putting out! So lets check it out! So first up I will just go over all of the polishes, because they were all recently reviews on the blog! :) So the red is Mermaid Hair Don't Care, the mint is Seafoamin' Around, and the glitter that makes up the scales is Make Waves. Oh and the glitter in the middle of the swim top is a dot of Sunset Sands. All of those will be releasing soon! You can check out those links for all of the details! Now for the skin tone I couldn't really keep in the the same brand so I used Peace Love and Sandy Toes by Serendipity Nail Polish. 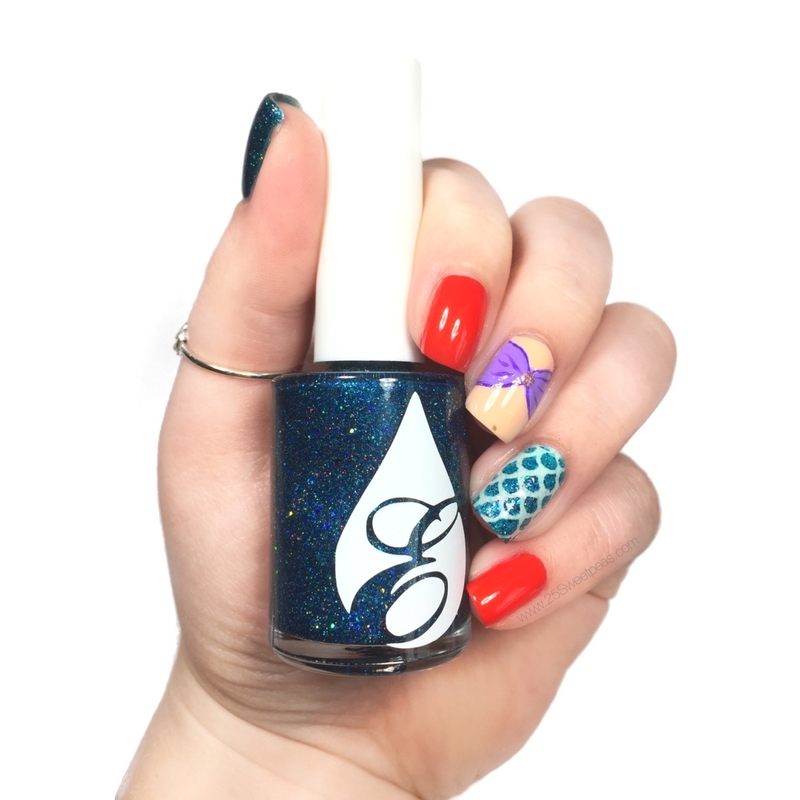 I used a vinyl from Nail Vinyls to create the mermaid scales, and I am kind of obsessed with that nail. Ah, to live the mermaid life! Haha! This look was pretty simple to do but I tell ya the hardest part was getting the swim top even. Like really, I still don't think they are but they will just have to do! Ha! So cute! I am loving that little mermaid bikini top! Thank you! That part was literally the hardest! Lol! One would look good then I'd go even the other and it would let better and then the systole just kept going! haha! Very cute manicure! I love the glitter peeking through the scale pattern! Thank you! That almost didn't happen so I am happy I thought of using that one before just using a creme!